Is a Lawsuit Really the House’s Only Remaining Option? There is no question that these are powerful tools, potentially powerful anyway, and I think I have already made clear my view that a lawsuit is a very poor option for the House to employ. Nonetheless, it is difficult to see how the House could effectively use some of these methods to address the employer mandate delay. Obviously, it cannot use the Senate’s authorities. It is also hard to see how it could rewrite the law (even assuming the Senate and the President’s cooperation) to remedy the problem. After all, the House does not object to the policy embodied in the employer mandate delay; it objects to the fact that the administration adopted the policy without congressional authorization. Indeed, one of the House’s “injuries” is that the administration opposed any congressional effort to change the law so as to authorize the action it was taking. Most of the discussion of alternative remedies at the Rules Committee hearing revolved around the power of the purse. But no one explained exactly how the House might use the power of the purse in this situation. In the first place, the spending power is just political leverage; it works the same for policy disputes and legal disagreements. But the political leverage only works to the extent it relates to something the public really cares about; abstract institutional disputes between the branches will hardly qualify. Indeed, even when the public supports Congress’s goal, using the spending power as leverage is tricky. Congress wasn’t too successful in using the power of the purse to control the executive’s conduct of an unpopular war in the last administration, as Slaughter may recall. Now I do like the Scalia/Ginsberg suggestion that funds for White House staff be cut off, and I wonder why the House doesn’t at least try something like that. Presumably the public wouldn’t be outraged by a reduction of the White House travel budget or the like. Maybe Congress is worried that the White House would demand a reduction in leg branch appropriations in return. In any event, using the appropriations process in this way would require majority support in both chambers, if not a supermajority sufficient to overcome a veto. And even if that existed (which it obviously does not), I am not sure how exactly it would be linked to the employer mandate delay. However, an ordinary committee investigation will not suffice here for at least two reasons. First, the Speaker has already made a decision to elevate this matter beyond a routine oversight issue, and he wants the House as a body to weigh in. If it were sent to a committee for investigation, it would just become one of many ongoing investigations and would quickly become bogged down in the partisan muck. Second, it is very likely that the administration would refuse to produce all (or perhaps any) information regarding the decision-making process on grounds of deliberative process, attorney-client and/or presidential communications privilege. There is another way, though. The House has a well-established and time-honored method of obtaining important information from the executive branch. The resolution of inquiry is a privileged resolution that seeks information from the president or a department head. Although it is not uncommon for such resolutions to be introduced (CRS counts 290 from 1947 to 2011), most often in recent years by members of the minority party, the House has not adopted such a resolution since 1995. A resolution of inquiry could be addressed to Secretary Lew, directing him to produce all documents related to the decision to delay the employer mandate. (A similar resolution could be directed to President Obama, although it is traditional that resolutions to the president “request” rather than “direct” the production of information). Would such a resolution work? Possibly, but only if the House were united in the resolution. The question then is whether Representative Slaughter and her colleagues would support such a resolution. If they are sincere about wanting to protect the House’s institutional prerogatives, I don’t see why they would not. And if they refuse, at least the Speaker would have tried to use more traditional methods before proceeding with his lawsuit. Of course, there is no legal penalty for refusing to comply with a resolution of inquiry. But if Secretary Lew were to refuse to comply with the resolution, the House would logically proceed to use its last constitutional tool, one where it exercises judicial and not merely legislative authority, namely an investigation into whether the Secretary should be impeached. As you have no doubt heard, two circuit courts issued divergent opinions yesterday on the same administrative law question, namely the validity of an IRS rule extending tax subsidies to health insurance purchased on the federal exchange. These decisions nicely illustrate the point I was making in my last post regarding the nature of administrative law decisions and the extent to which a decision on the merits of the employer mandate delay would or would not vindicate the House’s constitutional interests. In Halbig v. Burwell, the D.C. Circuit held the IRS rule invalid because it conflicts with the unambiguous language of the Affordable Care Act, particularly section 36B, which authorizes tax subsidies only for insurance purchased on “an Exchange established by the State.” The government argued that the statute taken as a whole reveals Congress’s intent that subsidies be available on both the federal and state exchanges. Any other conclusion, it contended, would generate an absurd result and be inconsistent with the ACA’s purpose and legislative history. Judge Griffith, writing for himself and Judge Randolph, found that the government’s arguments were insufficient to overcome the clear statutory text. On the other hand, in King v. Burwell, the Fourth Circuit held that the language of the ACA, taken as a whole, was ambiguous on the question of whether tax subsidies applied to the federal exchange. The court acknowledged that the plaintiffs’ position made a “certain sense” and “accords more closely” with “a literal reading of the statute,” but after reviewing all relevant statutory provisions as well as the ACA’s structure, purpose and legislative history, it concluded that “we are unable to say definitively that Congress limited the premium tax credits to individuals living in states with state-run exchanges.” Instead, the court applied Chevron deference to the statutory interpretation adopted by the IRS in its regulation, thus upholding the agency’s decision to extend tax subsidies to insurance purchased on the federal exchange. The two courts therefore reached different conclusions, but the various judges who have weighed in on the controversy (so far) reflect more than two views. The D.C. Circuit majority thought the ACA unambiguously prohibited the IRS from extending tax subsidies to insurance bought on the federal exchange. The Fourth Circuit majority, along with Judge Edwards dissenting in Halbig, thought that the ACA did not resolve the issue one way or the other and that the IRS was therefore free to determine whether or not tax subsidies should apply on the federal exchange. However, Judge Davis, concurring in King, found that Congress did resolve the question in the ACA and that the IRS was therefore required to adopt the interpretation that it did. And none of the judges appeared to agree with Judge Friedman, the lower court judge in Halbig, who found that the ACA unambiguously supported the IRS’s position. In his Rules Committee testimony, Professor Turley cited the tax subsidy issue in Halbig as an example of Congress addressing an issue with a “lack of ambiguity” and the administration deciding to change Congress’s policy decision through a regulation. Turley expressed the hope that by bringing such cases to the courts, the House could obtain some sort of clear demarcation of congressional versus executive authority. Certainly the results in Halbig/King so far suggest this is a forlorn hope. Even if a majority of the Supreme Court ultimately invalidates the IRS regulation, I don’t see that such a decision would expand or protect congressional power in some fundamental way. No one disputes that Congress could have resolved the issue through the ACA; the question is simply whether it did so. Indeed, it is arguable that the Halbig/King cases will expand executive authority by applying Chevron deference to an IRS determination that may not deserve it. Just as importantly, even Judge Griffith’s opinion does not address, at least in any kind of direct way, the House’s constitutional concern that President Obama is failing to take care that the laws be faithfully executed. The D.C. Circuit concludes that the plaintiffs have the “better of the argument” as the tax subsidy issue, but it does not suggest that IRS (much less the President) promulgated the regulation in bad faith. In sum, if the House were to sue regarding the employer mandate delay, the best it could hope for would be a court decision holding that delay to be invalid. But as I mentioned before, courts invalidate agency regulations all the time. How would one more such ruling change the balance of power between the branches? The Employer Mandate Delay: A Question of Administrative Law or Constitutional Faithfulness? With the background of the last two posts, let’s consider whether “the President acted beyond his authority to execute the laws” by delaying the employer mandate, to paraphrase the question asked at the House Rules Committee hearing. Or, rather, let’s separate this question into two. The first is whether the delay of the employer mandate was “legal.” This is the question that a court would ask if the issue were properly before it. For example, suppose that an employee sued his employer, alleging that he is entitled to employer-provided health care in 2014. Like Professor Dellinger, I am unsure why an employee couldn’t bring such a suit in reality, but for present purposes just assume that such a suit would present a justiciable controversy. The employer would argue that its obligation under the ACA is contingent upon regulatory action (implementation of the reporting requirement) that has not yet occurred and further that the Secretary of the Treasury has the authority under IRC Section 7805(a) to provide transition relief in the implementation of a law relating to taxation. Providing a full evaluation of the merits of this argument would require more time and research than I wish to devote to the matter. Suffice to say that I personally would not wager a significant sum on the outcome either way, but I would be particularly loath to bet on the administration’s theory that Section 7805(a), which makes no reference to “transition relief” at all, somehow gives the Secretary authority to provide such relief in contravention of specific statutory mandates. Note that the issues in my hypothetical lawsuit might be slightly different than if there were a direct challenge to the legality of the Treasury Department’s regulatory action under the Administrative Procedures Act, in which case the court might be more inclined to defer to the agency’s interpretation of its obligations under the law. For example, it is possible, as Professor Bagley observes, that a court would conceptualize the action simply as an exercise of enforcement discretion, rather than an attempt to waive legal obligations set forth in law. In other words, the Treasury Department did not actually delay the employer mandate (the story would go), but merely announced its intention not use scarce resources to collect penalties against employers who violate the mandate in the first year. This may not ultimately be a persuasive argument (Bagley isn’t persuaded), but a court is unlikely to view it as frivolous either. In short, the courts will likely view the question of the “legality” of the employer mandate delay as the type of routine administrative law issue they face every day. This, more than a full-throated defense of the administration’s legal position, was the point Simon Lazarus and Professor Dellinger were making at the Rules Committee hearing. After all, every administration must interpret and apply thousands of complex statutory provisions (often conflicting and/or poorly drafted, to boot) every day. Even if an administration were just “calling balls and strikes,” to use Chief Justice Roberts’ phrase, it would inevitably be judged to have violated the law on a fairly routine basis. So even if the courts were to declare the administration’s action with regard to the ACA illegal, what’s the big deal? This merely underscores that the question the House wants answered is not the question the courts will answer, even if a justiciable case were to be brought by a plaintiff with standing. They will not issue a decision on whether the Secretary, much less the President, has “faithfully executed the laws.” They will decide (at most) whether a particular administrative regulatory action complies with the law. Indeed, they may not even decide that, but merely conclude that the action is of the kind where the court should defer to the agency’s judgment as to whether or not it complies with the law. Who is Responsible for the Employer Mandate Delay? There were a couple of things missing from the testimony regarding the legal merits of the employer mandate delay at Wednesday’s Rules Committee hearing. The first was any reference to the legal authority claimed by the administration when it announced the initial delay of the employer mandate under the Affordable Care Act. This is surprising because Mark Mazur, Assistant Secretary of the Treasury for Tax Policy, was very specific in explaining the legal basis claimed for the administration’s action. Mazur’s letter of July 9, 2013 to the Honorable Fred Upton, Chairman of the House Energy and Commerce Committee, explains the decision “to provide transition relief with respect to three provisions of the ACA: reporting by certain employers under section 6056 of the Internal Revenue Code (“the Code”); reporting by insurance companies, self-insuring employers, and other entities that provide health coverage under section 6055 of the Code; and the employer shared responsibility provisions under section 4980H of the Code.” This “transition relief” meant “no employer shared responsibility payments will be assessed for 2014,” although employers were “encouraged” to “maintain or expand health coverage for 2014.” IRS Notice 2013-45. In effect, the Treasury Department waived the legal obligation of the employer mandate, which under the ACA was to take effect January 1, 2014, for a one-year period. That’s it. That’s the entire claimed legal justification for the employer mandate delay: section 7805(a) of the Internal Revenue Code. But I did not hear that code section mentioned once during all of the Wednesday’s testimony. Instead, there was a good deal of discussion, much of it in fairly vague terms, about general principles of administrative law that recognize some agency discretion to adjust statutory deadlines in a “reasonable” fashion. Whatever the merits of that legal position, it was not the justification offered by the Obama administration to Congress. The one thing that is very clear from this language is the identity of the person empowered to prescribe the regulations referred to by the section. It is the Secretary of the Treasury. Not the President. Not the Assistant Secretary for Tax Policy. Not anyone the Secretary might care to designate. Indeed, one might plausibly read the section as not providing substantive regulatory authority at all, but simply as identifying the Secretary as the default authority for issuing all rules and regulations not expressly delegated to another official. Yet during the entire Rules Committee hearing, I do not believe I heard a single reference to the Secretary, either by name or title. In contrast, there were many, many statements from both the majority and minority side ascribing the relevant decisions to the President. See, e.g., Written Statement of Simon Lazarus (“[T]he President has authorized a minor temporary course correction regarding individual ACA provisions, necessary in his Administration’s judgment to faithfully execute the overall statute, other related laws, and the purposes of the ACA’s framers. As a legal as well as a practical matter, that’s well within his job description.”). This is very peculiar. Whatever the scope of the authority provided by Section 7805(a), that authority clearly falls within the Secretary’s job description, not the President’s. Constitutional scholars, of course, have long argued the extent to which department heads and other executive officials can be given legal duties and authorities insulated from presidential oversight (the “unitary executive” debate), but that is a far cry from treating the Secretary of the Treasury as if he were the Charlie McCarthy to the President’s Edgar Bergen (yeah, I know, I’m old). Hamilton must be turning in his grave. Moreover, there is no indication in Mazur’s letter to Chairman Upton that President Obama had anything to do with the decision to extend the employer mandate. The letter is rather sketchy on the details of the decision-making process, but it clearly indicates that the impetus for the decision were “concerns about complying with the reporting requirements and the time needed to implement them effectively.” The Treasury Department evidently felt that there was not enough time to implement the reporting obligations of the law in a way that would avoid imposing burdensome or impractical requirements on the business community. Moreover, Mazur makes it clear that the decision to extend the employer mandate was simply a necessary result of delaying the reporting requirements. See 7-7-13 Letter at 2 (“We recognize that this transition relief will make it impractical to determine which employers owe shared responsibility payments (under section 4980H) for 2014.”). If Mazur’s explanation is even close to being true, it is apparent that President Obama could not have played a prominent role in making the decision to extend the employer mandate. Surely no one thinks that Obama was involved in drafting or evaluating the reporting requirements for employers and insurance companies, any more than he was writing code for healthcare.gov. The idea of extending the reporting deadlines, and as a consequence the employer mandate, would have had to originate with the Treasury officials directly responsible for these aspects of the law, and those officials presumably conducted a policy and legal analysis of this alternative among others for consideration by the Secretary of the Treasury. No doubt, given the policy and political importance of the issue, the Secretary presented his decision or proposed decision to the White House for approval, but this should have occurred well after the Treasury Department had thoroughly vetted the issue. From this it should be apparent that the official accountable to Congress, at least in the first instance, for the decision to delay the employer mandate is Jacob Lew, the Secretary of the Treasury. Any analysis of the House’s remedies with regard to this decision must begin with that understanding. Last Wednesday, July 16, 2014, the House Rules Committee held a five-hour hearing to consider a draft resolution “providing for authority to initiate litigation for actions by the President inconsistent with his duties under the Constitution of the United States.” It has been decided, although it is unclear whether this decision has yet been formalized in any way, that the potential litigation will focus on the Obama administration’s implementation of the Affordable Care Act, particularly the failure to implement the employer mandate in accordance with the January 1, 2014 effective date set forth in the law. Notwithstanding some media reports that focused on trivialities (see, for example, Dana Milbank’s snarky and unfair coverage of the hearing as “an amateur hour—or an amateur five hours”), there was a good deal of serious discussion and more agreement than might have been expected on some important points. One point in particular stands out: every witness and member who spoke to the issue seemed to agree that there has been a serious erosion of congressional power in recent decades and that Congress has failed to act in self defense when faced with presidents who seek to aggrandize their power at the expense of the legislative branch. Not surprisingly, this was most evident from the majority members of the Committee, who repeatedly expressed concern about the increasing power of the executive branch, and the majority’s star witness, Professor Jonathan Turley, who testified that the rise of an “uber-presidency” is causing our constitutional system to change in a “dangerous and destabilizing way.” Turley said the executive branch has “bled away” a lot of congressional authority and argued that the House must “take a stand” to re-establish some degree of constitutional balance. But these concerns were not limited to the Republican side. 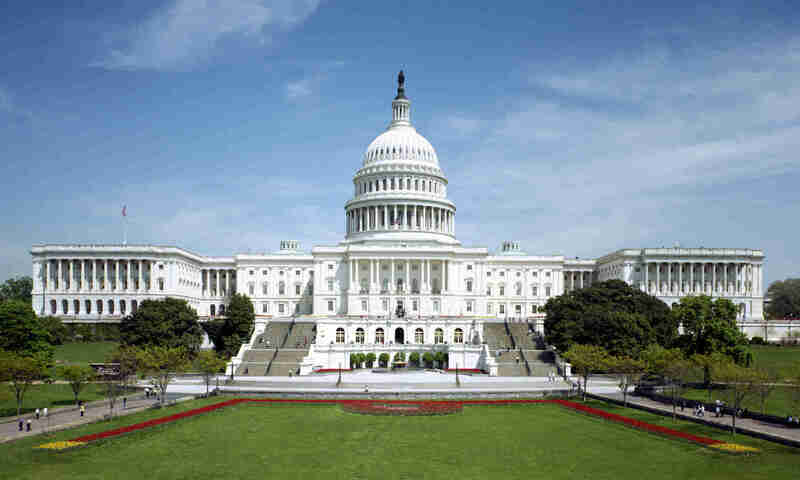 For example, when Turley said that the Framers expected that the House would stand up for its institutional prerogatives, Representative Louise Slaughter, the Ranking Member, nodded in agreement. Although Slaughter indicated in no uncertain terms that she would not be supporting the resolution, she also said there were “genuine issues of executive overreach” by “modern presidents,” a category from which she did not exempt the incumbent. The minority witnesses also acknowledged the problem. Simon Lazarus of the Constitutional Accountability Center recognized the relative decline of Congress with respect to the other two branches as a development that “definitely has occurred” and is “regrettable.” Professor Walter Dellinger, who like Lazarus was called by the minority in opposition to the resolution, also acknowledged that there has in fact been an erosion of congressional power in recent years. At Dellinger’s words, Slaughter and Representative Jim McGovern both nodded in vigorous agreement, with McGovern expostulating “yes, yes” or something to that effect. There was also a good deal of agreement on the difficulty that the House would face in trying to establish standing to bring such a lawsuit. Although Professor Elizabeth Foley gamely made the case that the courts ought to recognize the House’s standing under the circumstances presented, no one (with the possible exception of Foley herself) appeared to think this was a likely outcome. Turley, for example, acknowledged that the President “has the advantage on standing.” Lazarus suggested that while there was some possibility the courts might recognize the House’s standing, everyone would agree it would be an “uphill climb.” Meanwhile, Slaughter and Dellinger had a field day citing statements by conservatives hostile to legislative standing in general and to this lawsuit in particular. Slaughter, for example, quoted Andrew McCarthy’s description of the lawsuit as “feckless” and his warning that the House’s theory of standing would lead to “vexatious congressional lawsuits.” The Republican members of the committee didn’t so much take issue with these views as argue that they have no other viable options to contain the expansion of executive power. But is it true that there are no other viable options? To answer that question, we must drill down on the legal issue presented by the extension of the employer mandate. Which I will take up in my next post. There are a number of reasons why the proposed lawsuit by the House against President Obama is likely to be futile (or worse). Andrew McCarthy does an admirable job of laying many of them out here and here. Today I will address only one issue, the question of the House’s standing, from what may be a unique perspective. This post is not about whether the House “ought” to be found to have standing as a matter of legal theory. I have no strong views on how much of modern standing doctrine can properly be derived from the Constitution’s “case or controversy” language and how much is an ahistorical judicial invention. On these questions see Professor Ramsey here and Professor Epstein here. Nor would I argue that the House’s standing is foreclosed by controlling Supreme Court precedent. The Court has left the door open to institutional lawsuits by the House or Senate under certain circumstances and I assume that it could, if it wished, open that door wide enough to allow the House’s suit here. As discussed below, the reasoning of Raines v. Byrd, 521 U.S. 811 (1997), cuts against the standing theory offered by David Rivkin and Professor Foley in support of the House’s suit, but that is not my primary point. The main point of this post is to explain why, IMHO, the courts will not in fact recognize the House’s standing to bring suit “to compel the president to follow his oath of office and faithfully execute the laws of our country,” as the Speaker’s June 25 memo puts it. Whether this result is best explained by a coherent theory of standing, sound constitutional policy, or naked judicial self-interest, I leave to the reader to decide.